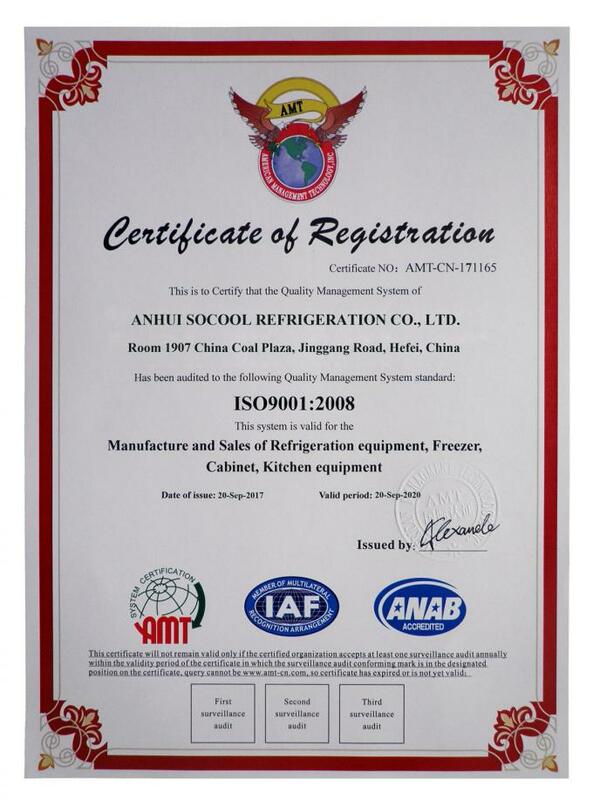 Quality Control - ANHUI SOCOOL REFRIGERATION CO., LTD.
We have passed the ISO9001:2008 quality management system. 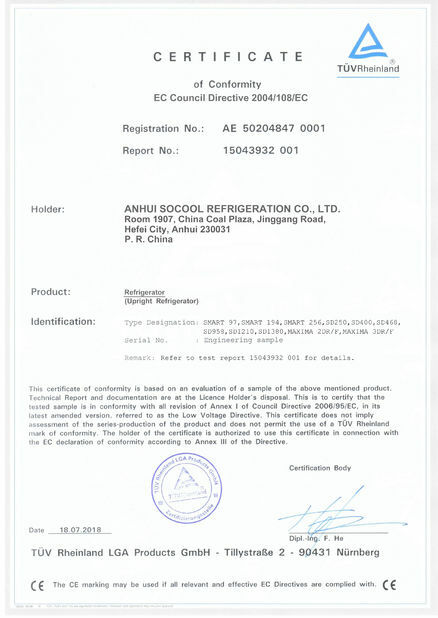 When we receive any raw materials including coompressor, condenser, evaporator, and other refrigeration parts, decoration profiles, metal sheet, powder, LED light tube, electrical parts and etc, the warehouseman will send the sample from every batch to the engineer for testing. We donot easily change our suppliers, because it usually takes months testing and checking to buy a new parts from a new supplier. What we want is the stable quality of the parts we buy. All the metal processing is done by mainchies, like Laser cutting machine, bending machine, CNC punching machine, so we can control the accuracy of every metal parts, and make it easy for later foaming and assembly. The foaming agent we used is CFC free PU with 40KG/M3 density to ensure the body is environment friendly and good insulation. 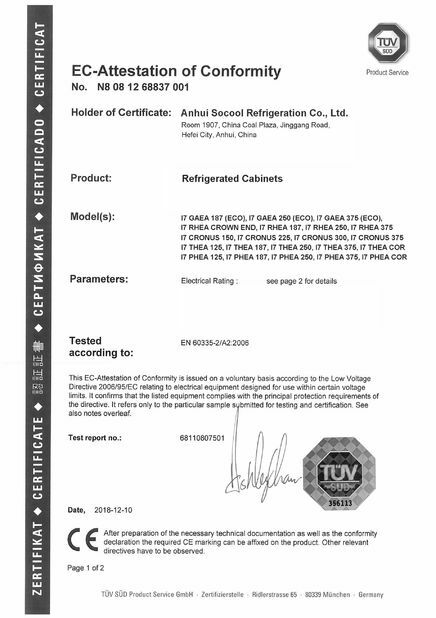 During the assembly, the sales for managing the orders will inspect the production everyday for tracing the production progress and checking if the production is right because they know the best about the order contents. Every finished product will be strctly tested and checked in the testing lab on the temperature performaces, electrical safety. Every unit will be tested at least 6 hours in the lab. The products will be strictly checked by QC in terms of surface finish, parts, and etc. For the QC pass products, they will be carefully packed and moved to the warehouse for shipment.